While making your next travel arrangements, you may wonder when you should book your airport parking. On-site parking at the airport could be hit or miss, potentially causing you to arrive late to your departure gate. Don’t allow the inconvenience of terminal parking add unneeded stress to your journey. Instead, conveniently reserve your parking space ahead of time with Jiffy and keep your commute to the airport hassle free. Why take a chance trying to find day-of parking when you can easily guarantee that a parking space will be available the moment you arrive at the lot? Jiffy Airport Parking allows you to book your reservation online at your convenience and instantly confirm your spot for the duration of your stay. As an added bonus for securing your spot ahead of time, you’ll be quoted a discounted rate. Off-site parking would be pointless if it didn’t help you get to your gate as swiftly as possible. Jiffy not only provides you with affordable parking, we’ll also take you straight to the airport right when you exit your vehicle. Our fast, free shuttle service runs all day, every day, so that you can quickly get to your terminal without any hassle. Would you like to earn free parking every time you go to the airport? We appreciate every customer that chooses Jiffy and believe that customer loyalty should be rewarded. With the Jiffy Airport Parking Frequent Parker Card, you’ll begin earning free parking from the moment of your initial stay with us! Each time you park at Jiffy, you’ll earn a Frequent Parker Point for each dollar you spend. When you accumulate 100 points, you’ll receive a free day of parking on your next visit. It pays to stay with Jiffy! Finding parking for travel through Newark Liberty International Airport should not be a stressful experience. Whether your trip is for business or pleasure, getting to your destination should be as convenient as possible. 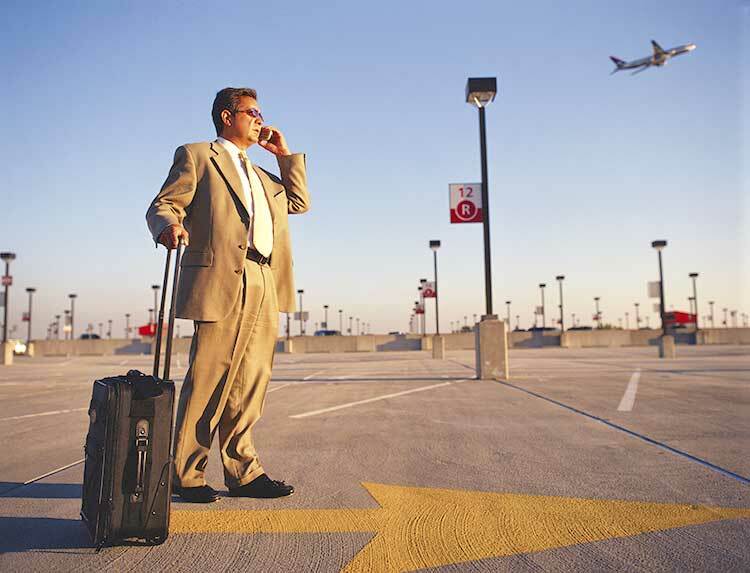 When booking off-site parking, consider Jiffy’s premium parking services located less than one mile from EWR. Offering the lowest prices and exceptional customer service, Jiffy Airport Parking is ready to make your airport parking experience first class!